Editor's note: In honor of National Small Business Week, we'll be sharing stories about small businesses that have gone Google. 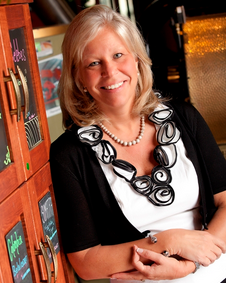 Today’s guest blogger is Kim Plahn, President of Dunn Bros. Coffee, a franchise based in Minnesota with over 80 coffee shops. See what other customers that have Gone Google have to say. When Ed and Dan Dunn started Dunn Bros. Coffee in St. Paul, Minnesota in 1987, they refused to open just another coffee shop. They would be different -- their high-quality craft roasts would be as popular as the community of fans that flocked to them. Like the legendary Eugene, Oregon coffee houses that inspired them, Ed and Dan sought to foster the connection between customers through their shared appreciation of exceptional coffees, fresh roasted in the store every day. As CEO of Dunn Bros., I’ve made sure our blends change while that core value stays the same. Dunn Bros. Coffee has grown to over 80 locations in eight states since we opened our first shop. But that growth wasn’t always easy: until a few years ago, we were bogged down by the limitations and costs of our servers and legacy hardware. We needed a new IT system that was more cost-efficient and would let us focus on scaling our business. Since we don’t have a dedicated IT department, we turned to our partner, Agosto, to help us find a better way for our corporate team and dozens of franchisees to communicate, coordinate and operate easily, whenever and wherever we were. They told us we needed Google Apps for Business, and it didn’t take us long to agree. All the tools available to us as part of the Google Apps suite make partnering with our Support Center staff and franchisees a breeze. We use Groups to encourage discussion between our store owners, who have in turn transformed it into a forum for sharing best practices, troubleshooting and brainstorming. Sites lets us share our recipes, roasting profiles, training documents and marketing plans all in one place, so our employees don’t have to search through dozens of emails to find the latest version of the document they need. We have a shared Calendar with our weekly calls, new coffee releases, and promotions, so everyone’s in the know and on time. We can’t imagine a day without Google Apps, and neither can our franchise owners. All we need is a cup of Dunn Bros. coffee to get us started in the morning, and the rest falls into place.